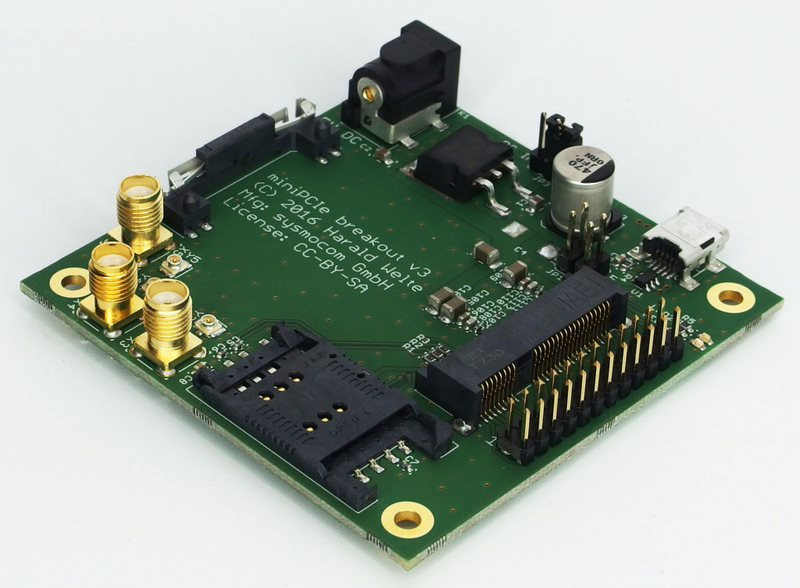 If all those new features are combined, you can use gapk as a RTP playback sink for any of the codecs used in (not only) Osmocom GSM networks. This is very useful for debugging, particularly if combined with a recent patch to OsmoBSC/OsmoNITB enabling the administrator to re-direct any BTS-originated RTP stream of an active call by issuing an IPA RSL MDCX command. We're happy to announce that there will be two talks related to the Osmocom cellular infrastructure projects at the upcoming OpenCellular Workshop held in Nairobi, Kenya on June 19 and June 20. At the OpenCellular workshop hosted by iHub, technology and business leaders will share their insights and drive discussions around radio design, site planning, business models and many other topics on rural connectivity. We're looking forward to meeting all parties involved in providing rural communications, as we consider the Osmocom cellular protocol stack a key factor in driving cost and innovation in connecting the next billion mobile subscribers. Good news for everyone who got no OsmoCon2017 tickets or were otherwise unable to attend: Video recordings of all OsmoCon talks are available at C3VOC (direct search link). Enjoy introductions to, news on and real life reports around the Osmocom mobile communication stack. Great work by the VOC, thanks! We are happy to announce that the OsmoCon2017 schedule has just become even more exciting with the addition of two talks on two projects that relate to Osmocom: OpenCellular (as a hardware platform to run OsmoBTS, OsmoBSC, OsmoNITB, ...) and Community Cellular Manager as a software to manage Osmocom-based cellular networks. Join us at OsmoCon2017 on April 21st, 2017 in Berlin for a full day schedule on Osmocom cellular infrastructure topics! CCM is a software management and deployment suite enabling the operation of small-scale cellular networks that can also be used with the OpenCellular platform we announced in June. It makes it possible for organizations with limited technical capacity to leverage OpenCellular or third-party radio access network (RAN) solutions to build small-scale cellular networks in their own communities. See here for more information (and source code!). 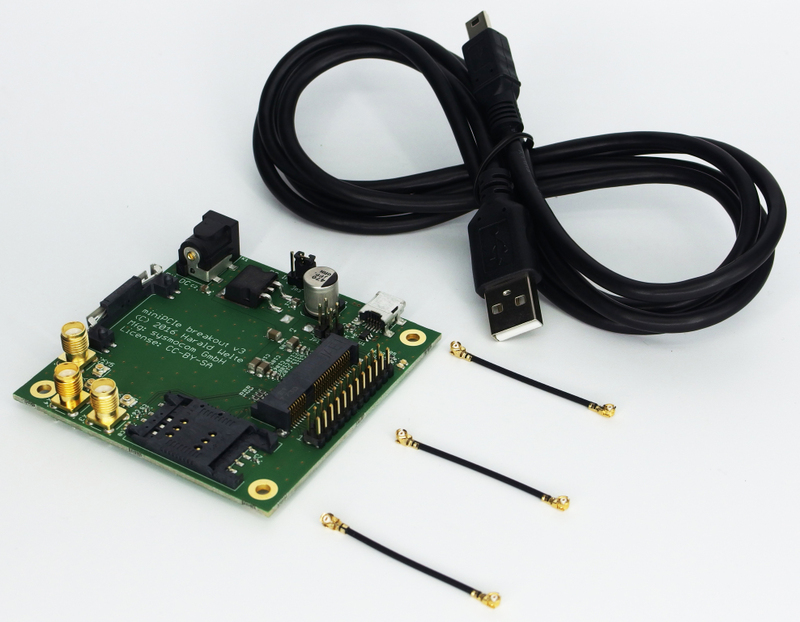 OpenCellular is an open source and cost-effective, software-defined wireless access platform (for GSM BTS and other standards), aimed to improve connectivity in remote areas of the world. See here for more information about OpenCellular. There are some updates related to OsmoCon2017, the first Osmocom Conference, held on April 21st, 2017 in Berlin, Germany. April 21st is approaching fast, make sure you get your Ticket in time. Limited number of seats available. The list of talks with their abstracts has been on the website for quite some time, but now we actually have put together a schedule based on those talks. Please see OsmoCon2017 for the schedule. For more details see OsmoCon2017_TravelGrants and/or contact osmocon2017@sysmocom.de. See more details about it at OsmoCon2017_SocialEvent. From previous 3G announcements1, you may already know that the OsmoNITB, the Network-In-The-Box, combines BSC, MSC and HLR (among other things), which has drawbacks. Our MSC code was nicely placed in a separate libmsc, but libmsc never stood on its own. From the start it always had its fingers deep in libbsc data structures. In 3G core networks, there no longer is a BSC, so we needed a clear interface to talk to libmsc, and make it not depend on libbsc. We do have a standalone OsmoBSC, so technically, it could talk to a standalone MSC implementation, instead of having both in the same program. Thus, on the 3G branch, we basically killed off the BSC part of OsmoNITB: the first step towards our brand new standalone OsmoMSC. But what is a 3G core network without full 3G authentication? UMTS AKA2 was published in Release 1999 of the 3GPP technical specifications (R99) and provides the means for mutual authentication, usually using the Milenage algorithm. Since R99, SIM cards (USIM) not only verify their authenticity to the core network, they also expect the core network to verify its own authenticity, hence the term mutual authentication. 3G USIMs may fall back to pre-R99 authentication, but in general, 3G is expected to be synonymous with UMTS AKA. So far, Osmocom fell short of that. We have had the Milenage algorithms implemented in libosmocore for years, but our stock OsmoNITB is unable to use it. The main reason: the subscriber database is incapable of managing UMTS AKA tokens. Another shortcoming of this database is that it runs synchronously in the OsmoNITB process: if it is locked or needs a bit longer, our entire core network stalls until the request is completed. And a third clumsy fact is that the OsmoSGSN cannot use OsmoNITB's subscriber database, duplicating the authorization configuration. OsmoHLR has full UMTS AKA support. It serves GSUP to both our MSC and SGSN. As a separate process, the HLR now runs fully asynchronously. Of course, the MSC needs to act as a GSUP client to use the separate OsmoHLR server. We needed to teach libmsc to handle GSUP requests asynchronously. In the 3GPP TS specifications, this is handled by the VLR, the Visitor Location Register. So far the VLR existed implicitly within OsmoNITB, basically as an in-RAM storage of subscriber data read directly from the database storage. But the VLR is more than that: it is specified to follow detailed state machines interacting with MSC and HLR, which allow, you guessed it, asynchronous handling of subscriber data. With the HLR moving to a separate process, we needed to implement a VLR proper. A generic finite state machine implementation has been added to libosmocore, and the specs' state machine definitions for the VLR have been implemented, supporting UMTS AKA right from the start. By now it may be clear to you that OsmoNITB will not be around for long. But the transition away from OsmoNITB is not trivial: users have to get familiar with the new OsmoHLR. OsmoNITB's VTY configuration commands for subscriber management no longer exist. And, of course, our OsmoMSC cannot talk to OsmoBSC yet: to fully replace OsmoNITB with OsmoBSC + OsmoMSC + OsmoHLR, we also need a proper A-interface implementation on the OsmoMSC side. Even though OsmoNITB will stick around as a 2G solution until then, the move to an external HLR process in itself is a profound change in admin processes. In consequence, we have taken yet another profound decision: we will not merge these new developments to openbsc.git's master branch. To clearly mark the move to the new Osmocom core network topology with the VLR-HLR separation and support for 3G by the new OsmoMSC program, we will create a brand new git repository that will be the focus of ongoing development. The current openbsc.git repository will remain as it is; it may see backports in urgent cases, but in essence it will be laid to rest and clearly marked as legacy4. Before we can flip that switch, we still need to sort out some petty details of what should move where, and then agree on a good name for the new repository. Until then, 2G with UMTS AKA support will live on the openbsc.git vlr_2G branch, while 3G with UMTS AKA support will live on the vlr_3G branch. The vlr_2G branch still features an OsmoNITB, but with an external OsmoHLR. The vlr_3G (previously sysmocom/iu) extends the vlr_2G branch to transform OsmoNITB to OsmoMSC and support the IuCS interface. What about UMTS AKA on packet-switched connections? OsmoSGSN has had a GSUP client for quite some time now5. In fact GSUP was initially named "GPRS Subscriber Update Protocol" -- the G now re-coined to "Generic". Adding UMTS AKA to the OsmoSGSN was a breeze. You don't even need a special branch for that, it's already merged to master. UMTS AKA is not limited to 3G. Any 2G network that indicates compliance with Release 1999 in the System Information bits can benefit from mutual authentication, and so does Osmocom, now. 2G with UMTS AKA and 3G support are not packaged yet. To use them, you need to build the software from source. For OsmoNITB with 2G UMTS AKA, you need to build openbsc.git using the vlr_2G branch. For 3G including UMTS AKA support, refer to the 3G wiki page. To get assistance, you may ask on the mailing list, or contact for example sysmocom for professional support and development services. With the help of Osmocom's sponsors and supporters, including but not limited to NLnet and sysmocom, we were able to invest due time and effort and have reached a remarkable milestone: UMTS AKA is now supported on Osmocom 3G as well as 2G networks, using Free Software all the way. Thank you for making this possible! 3 So far our OsmoMSC has a local sqlite database to manage SMS persistently, which is still a potential source of stalling due to synchronism. 4 Another reason for moving to a new repository: OpenBSC was the early name of the project, but by now the lack of "Osmo" in its name is a source of confusion among new users, since "OpenBSC" wrongly suggests affiliation with the unrelated OpenBTS project. 5 See config item auth-policy remote. The lucky receivers of a free nano3G femto cell sponsored by sysmocom have been contacted. The selected projects will be documented at the [[cellular infrastructure:accelerate3g5|accelerate3g5 wiki page]]. If your project has been selected, kindly follow the instructions found there and mark the start of your project. We are glad to have reached many new community members and are looking forward to seeing your projects evolve. Here is a huge Thank You to all contestants from the Osmocom community and the sysmocom team!